144 USA Flag Bar Picks. 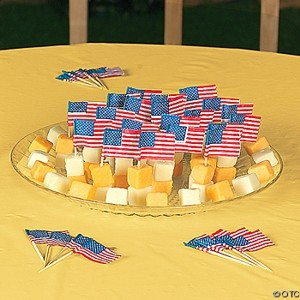 Give your party drinks a patriotic flair! Each 1" x 1 1/2" flag is on a 2 1/2" wooden pick.